TORONTO, ON – June 14, 2017 – It’s daring in conception, powerful in performance, and – as members of the Automobile Journalists Association of Canada will soon discover – surprisingly efficient, proving that the legend of the grand touring coupe is alive and well. The hybrid-powered Lexus LC 500h – an all new experience for the 2018 model year – brings its winning combination of brave design, imaginative technology, “Takumi” master craftsmanship, and exhilarating performance to AJAC’s EcoRun – the association’s annual showcase of advanced technology vehicles that provide real-world alternatives to the conventional automotive powertrain. 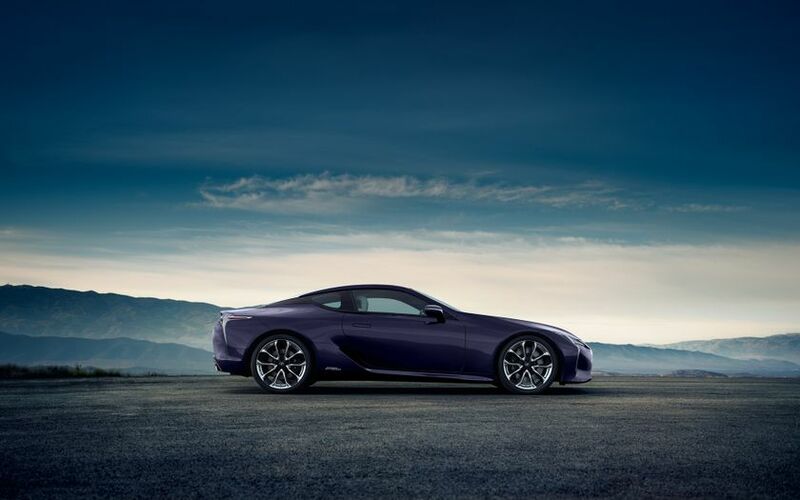 The all-new Lexus LC 500h is revolutionary, introducing the world’s first Multi-Stage Hybrid powertrain, designed specifically for high-performance vehicles. Built around a 3.5L V6 and state of the art Lithium-Ion hybrid battery, this hybrid system delivers impressive torque and more usable power across a wider range of engine speeds. The Multi-Stage Hybrid delivers 354 net system horsepower and a 0-100km/h time of just 4.7 seconds. This is coupled to a continuously variable transmission mated to a four-speed automatic gearbox to closely align engine RPMs with throttle inputs. LC 500h drivers can manually select from 10 speed steps to deliver a surprisingly sharp connection between the accelerator pedal and vehicle response. The LC 500h also features the first driver-initiated gear shifts on a Lexus full-hybrid powertrain, through a new “M” driving mode. The LC 500h is built on an all-new, rear wheel drive platform. Known as GA-L, this platform convers a lower centre of gravity and facilitates centralized positioning of components, including the engine. The result is a finely-balanced coupe with optimized weight distribution for a dynamic driving experience unlike any previous Lexus. Performance and handling are wrapped in a glamorous body design, finished to a flawless level of attention and detail, and equipped with an impressive list of technologies, amenities, and safety systems. The 2018 Lexus LC 500h is now on sale at Lexus Dealers across Canada. For complete and up to date details and specifications, visit www.lexus.ca/lc.